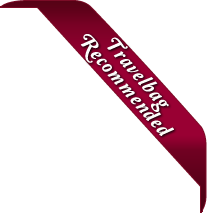 Travelbag offers a wide and varied selection of fantastic hotels in Borneo to meet all of your discernible needs. Whether you are travelling on a budget and require a cheap hotel, seeking something to accommodate the entire family in comfort, or treating yourself to a luxuriously appointed resort, Travelbag pledges to offer a Borneo hotel to suit everyone. With our excellent up-to-the-minute deals, superb quality line-up of hotels and resorts, and commitment for value-for-money, Travelbag is certain to have something to meet every budget, requirement and preference. 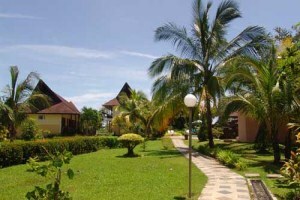 Here is just a selection of our favourite and cheapest hotels in Borneo. Please use our search panel above to find your perfect choice. 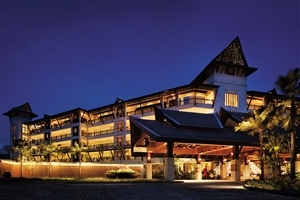 Treat yourself to authentic Malaysian hospitality during your Borneo holiday with a stay in the Sutera Harbour – Pacific Sutera Hotel. 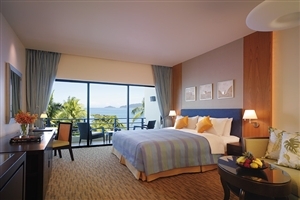 Set to the north of Borneo, close to Kota Kinabalu, Sutera Harbour – Pacific Sutera Hotel enjoys breathtaking views across the South China Sea, while the 500 refined guestrooms ... and suites are lavishly appointed for your pleasure. 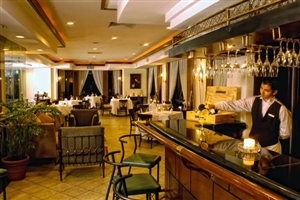 Facilities at Sutera Harbour – Pacific Sutera Hotel include five restaurants, a spa and the neighbouring golf course. Savour breathtaking views across the stunning Borneo scenery when you stay at Sutera Harbour – Magellan Sutera Resort, a graceful Borneo holiday resort set against the backdrop of the South China Sea and the islands of Tunku Abdul Rahman Marine Park. Be lavished with personalised and friendly service, sophisticated and ... stylish accommodation, and a wealth of excellent facilities to ensure your stay is a pleasurable one. Features include a spa, swimming pools, a gymnasium and even a Movie Theatre showing a selection of films, from the latest releases and classic favourites. Indulge yourself on an unforgettable Borneo holiday with a stay at the majestic Gaya Island Resort, a veritable haven from which to refresh and rejuvenate. Gaya Island Resort is committed to providing a sanctuary of tranquillity with its 120 sumptuous villas and a two-bedroom suite, while facilities include a house ... reef, specialised PURE activities and a decadent Spa Village offering treatments designed around you. Located on an island within a natural marine conservation area along the Malohom Bay coastline, Gaya Island Resort offers coral-rich waters, pristine beaches and lush mangroves for your pleasure. Stimulate the senses like never before with a memorable stay at Shangri-La's Tanjung Aru Resort & Spa, a luxury resort tucked into one of the world’s most extraordinary settings. Fringed by Borneo’s coral reef abundant South China Sea and presided over by the mighty Mount Kinabalu, Shangri-La's Tanjung Aru Resort ... adds sophisticated accommodation and excellent facilities, including diving expeditions and a selection of gourmet restaurants, for a truly unforgettable Borneo holiday experience. Indulge yourself in Shangri-La’s renowned brand of luxury in a magnificent tropical rainforest setting with an unforgettable stay at the Shangri-La's Rasa Ria Resort & Spa. Fringed by the platinum sands of Dalit Beach and encased in 400 acres of rolling verdant land, it guarantees a sight to behold as ... you relax in your lavishly appointed guestroom or suite.